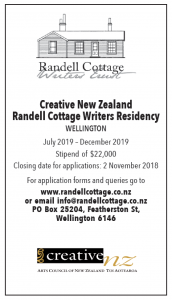 Applications have now closed for the 2019 Creative New Zealand Randell Cottage Writers Fellowship. The deadline for applications was Friday, 2 November 2018. Historic Randell Cottage in Wellington, New Zealand, has been a writers’ residency for New Zealand and French writers since 2001. 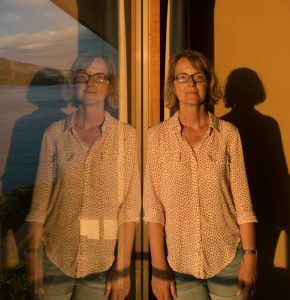 The Randell Cottage Writers Trust works in partnership with Creative New Zealand, the New Zealand-France Friendship Fund, the Wellington City Council and the Embassy of France. The cottage has two bedrooms and a writing studio. Located in inner-city Thorndon close to the Lilburn Residence, Rita Angus Cottage, Wellington Asia Residency, and the Katherine Mansfield House and Garden, the cottage is within walking distance of the National and Turnbull Libraries and Archives New Zealand.